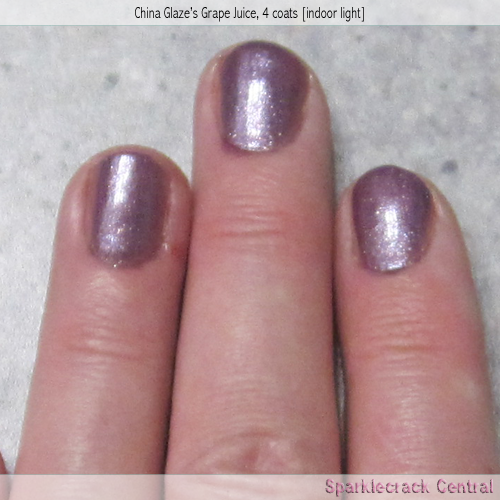 Like the other colors in this collection, this one takes a few more layers until you get full opacity…but if you love purples or glass fleck polishes, this is a good one to add to the hoard. 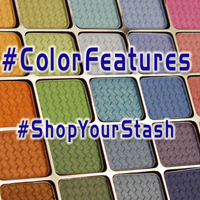 The color is brighter without being screamingly candy-colored. 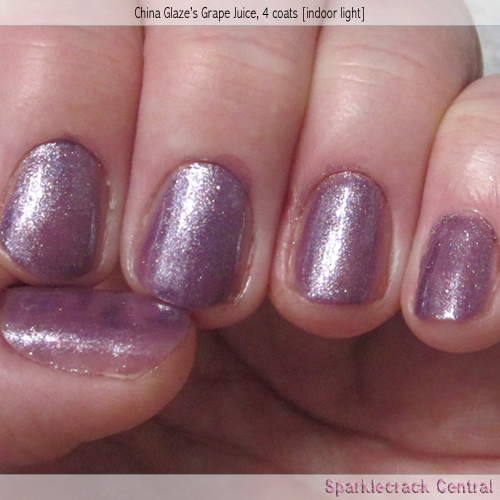 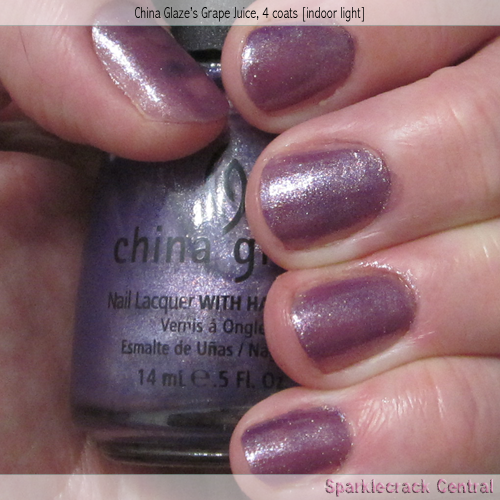 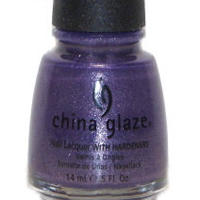 Dry time is decent - about average for China Glaze polishes.